It's a shame that the centers near you are run that way, my home center doesn't fall in any of those categories and there are two other very popular centers only about 10-15 minutes further away than the 10 minute ride I have to my home center. My home center has never had what I would consider an excessive amount of honor scores compared to what I have heard of from other centers. Also it is a shame you've had those experiences in leagues. ...and bought several balls a year. This is where I have an issue with the current state of bowling. I don't feel that is conductive to the game when people are given the impression that they need to spend a considerable amount of money on new equipment and I can see how it would have caused you and others frustration. Absolutely!! I do hear of alot of bowlers buying their new ball before the season starts. And, I know of a lot of bowlers who believe only a new ball can produce the desired reaction. I don't understand either. 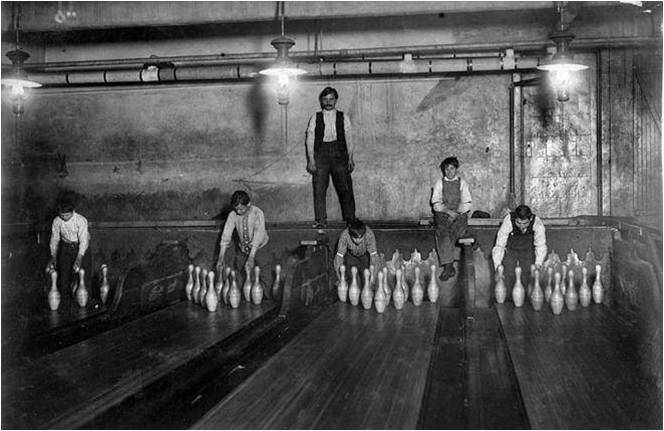 Bowling was the affordable sport, that a family could enjoy. Parents would take kids and bowl together. You don't see that today. The bowling Center has become a haven for kids on rainy days. Or, the Saturday Day Care where they get dropped off for the Game Room. Bowling is NOT the attraction. Here is some good info from MO. That was a GREAT video, Boss. TY VM.